Austin Quinn-Davidson closed out Tuesday night with nearly 50 percent of the vote in a crowded field for a vacant Anchorage Assembly seat covering West Anchorage. The special election was held to fill Anchorage Assembly Seat E, which was vacated by Assemblyman Tim Steele earlier this year due to health reasons. The race attracted seven candidates, and turnout as of Tuesday night was 16.8 percent (though with mail-in ballots, it’s expected to near about 20 percent once all votes are counted). Quinn-Davidson, who’s an attorney for the Alaska-based Great Land Trust, had 3,492 votes (49.09 percent) as of Tuesday night’s reporting. The closest challenger was conservative candidate Nikki Rose, who won 2,219 votes (31.19 percent). As long as Quinn-Davidson’s lead isn’t somehow erased as more ballots come in, she’ll serve out the remainder of Steele’s term through the April 2020. The seat has been filled on an interim basis by Ira Perman. The political balance of the Anchorage Assembly isn’t expected to change significantly with Quinn-Davidson’s victory. Both Quinn-Davidson and Steele are progressives that have been supportive of Mayor Ethan Berkowitz. The victory also continues the successful run of victories by progressives in local elections since 2016. Anchorage voters defeated the “bathroom bill” initiative earlier this year while electing a slate of progressive candidates. The same has largely been true for local elections elsewhere in the state. In terms of fundraising, Quinn-Davidson smashed the field with a total of $42,212 raised, according to the Alaska Public Offices Commission. She received several contributions–along with endorsements–from union-backed groups as well as contributions from several Democratic politicians. Rose raised $10,150, according to financial reports. The only other candidate in the race to file financial disclosures was conservative Sam Moore, who raised $2,805 and got 693 votes (9.74 percent) as of Tuesday night. 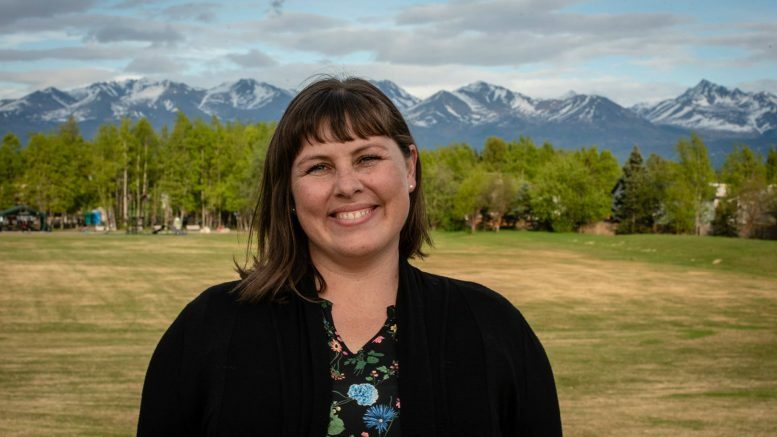 Though Quinn-Davidson’s election isn’t yet official, she’ll become the third woman on the Anchorage Assembly alongside Suzanne LaFrance and Amy Demboski. Tuesday’s special election was the second time Anchorage has conducted a vote-by-mail election. With an expected turnout of around 20 percent, it’ll be far below the 36 percent turnout seen in April’s regular election. Special elections, however, are rare in Anchorage with the last one not to be held alongside another major election occurring in 1992, according to the Anchorage clerk’s website. That election drew about 15.6 percent voter turnout. 1 Comment on "Progressive Quinn-Davidson wins big in Anchorage Assembly special election"